Good to Staysubmitted by Kiran K. - Sep 06, 2015 |Recommended: YesI am staying in this apartment since three months and from day 1 I haven't noticed any problem so far with the apartment. I see that maintenance people take more than 2 days to address the maintenance issue. response from property - Sep 15, 2015 We are glad you are delighted. Thank you for taking the time to let us know what we did right. Resident satisfaction is our number one priority! It is always great to hear from our residents! response from property - Aug 02, 2015 We are glad you are delighted. Thank you for taking the time to let us know what we did right. Resident satisfaction is our number one priority! 5th Year at Lincolnsubmitted by Deborah M. - Aug 01, 2015 |Recommended: YesI enjoy living at Lincoln, affordable, beautiful and quiet living. response from property - Aug 02, 2015 We are glad you are delighted. Thank you for taking the time to let us know what we've done right. Resident satisfaction is our number one priority! response from property - Aug 02, 2015 We are glad you are delighted. Thank you for taking the time to let us know what we've done right! Resident satisfaction is our number one priority! Peace of Mindsubmitted by Jenelle J. - Jul 04, 2015 |Recommended: YesEveryone was nice, my partner and I actually enjoy living here. When we did a tour of the community we fell in love with the overall experience. response from property - Aug 02, 2015 We are glad you are delighted! Thank you for taking the time to let us know what we've done right! Resident satisfaction is our number one priority! Better than most apartments in the areasubmitted by Kara O. - Jul 01, 2015 |Recommended: YesNot a bad place to live, the staff is friendly and attentive. 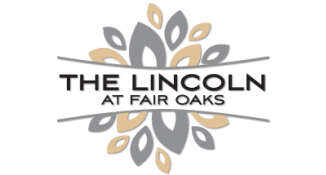 The apartments could use some freshening up, but overall I enjoyed living at The Lincoln. response from property - May 05, 2015 We are glad you are delighted. Thank you for taking the time to let us know what we did right. Resident satisfaction is our number one priority! Very Comfortable Complex in a Great Locationsubmitted by Charles B. - Aug 08, 2014 |Recommended: YesFantastic, you don t hear your neighbors, you re near everything in Fairfax, and the staff is very friendly. Excelent! Caring! submitted by Nondier C. - May 04, 2014 |Recommended: YesAmazing place to live in; I lived there since 2003, and all I have to say are good things about the management and the rest of the team. The Office Manager is simply fantastic, and Nicole, Sarah, Chris, and the mainteinance guys are the best!. There was not a bad experience. If it wasn't because we moved out of State, we would probably still be there. Thanks for all these wonderful years! Absolutely will recommend to friends and family. Conveniently located , well maintained and very pleasant apartments.submitted by Ellyn K. - Feb 01, 2014 |Recommended: YesI enjoy the privacy, convenient location, amenities and responsive staff. It is a pleasure to live there.submitted by Ellyn K. - Jan 02, 2014 |Recommended: YesThe apartment is convenient to shopping and major transportation and well maintained. Love it! submitted by Claire F. - Dec 16, 2013 |Recommended: YesLove it! Just seem to be having more trouble with parking than usual. Not sure if folks have more guests these days given the Holidays...? I'm sure it's temporary. Very satisfiedsubmitted by Dina J. - Dec 03, 2013 |Recommended: Yes They keep the property up well, and respond quickly to any problems a tenant may have.